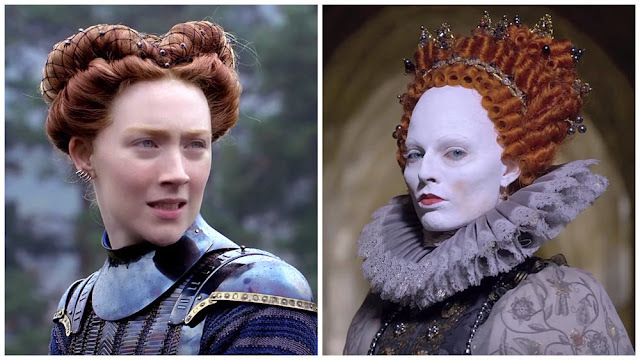 For twenty-five years, Queen Elizabeth I of England and her cousin Mary Queen of Scots were pieces in a game of power organized by their male advisors, for Mary Stuart, a Catholic, had, according to many, a more legitimate claim to the throne of England than her cousin Elizabeth. Mary Stuart wanted Elizabeth to name her as successor since she had produced no heirs. Queen Elizabeth I and her advisors favored a marriage of convenience between Mary and an English nobleman, one that could easily manipulate her. Elizabeth offered Lord Robert Dudley, her alleged lover, as suitor. Mary refused, marrying Henry Stuart instead. What Mary thought was a union based on love ended up becoming her downfall. After quashing civil unrest in Scotland twice, Mary fled to England to rally the support of Elizabeth to raise an army so she could defend her throne from her half-brother. Elizabeth refused to supply her with men at arms, offering asylum instead, under the close watch of her allies. Mary Queen of Scots starts with Mary’s beheading for treason in 1587 and then goes back in time to 1561, the year of Mary Stuart’s arrival in Scotland, as a window, after spending most of her life in France, to claim her rightful throne. While Mary faces internal pressures from her own council, mostly comprised of Protestants, and from the pulpit—a prominent Protestant leader refuses to vow to her authority inciting the masses against her—, Queen Elizabeth I’s advisors in England stoke the flames of Scotland’s political unrest. They know that Mary will be too busy defending her throne from internal enemies, her half-brother being one of them, to claim legitimacy in England. Mary proves to be a formidable rival for Elizabeth. Deep down each admires the other, knowing that it takes a woman in power to understand the sacrifices another one makes, on behalf on her subjects, in a male dominated world. Directed by Josie Rourke in her directorial debut, Mary Queen of Scots is adapted for the screen by Beau Willimon and John Guy, from the book Queen of Scots: The True Life of Mary Stuart. It is a dual biopic—focusing on a specific timeframe in the political lives of the protagonists—that doesn’t get many points for being historically accurate but that has a few worthy cinematic elements nonetheless. 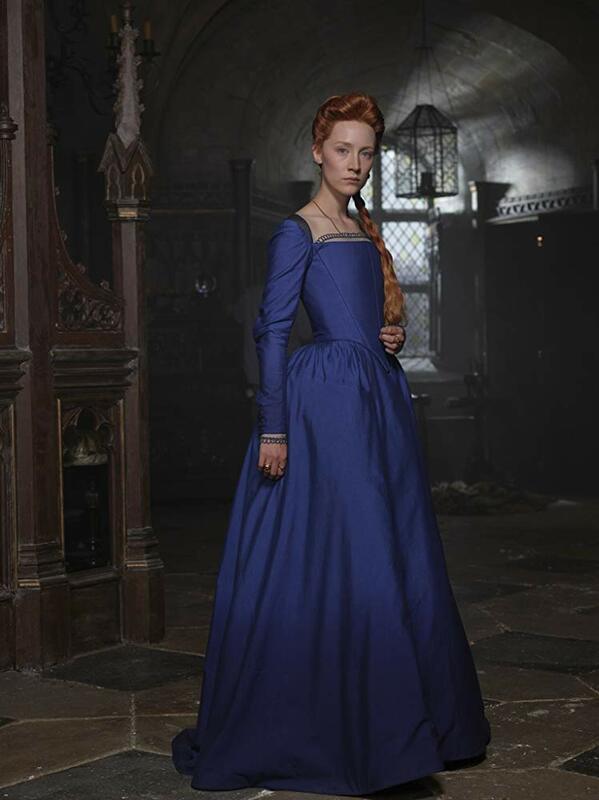 Starring Saoirse Ronan as Mary Stuart and Margot Robbie as Queen Elizabeth I, this film has lavish costume designs and has been praised for hair and makeup, both of which are outstanding. Out of the three historical dramas that may be in contention for awards this season, namely Colette, The Favorite, and Mary Queen of Scots, this is, in my opinion, the favorite to garner important nominations in technical categories as well as for acting. The photography and cinematography are superb, especially in showcasing Scotland’s sweeping natural beauty. Mary Queen of Scots is well acted by the whole ensemble, with great supporting performances from the male cast, but it is really the leading ladies, fresh from a bountiful last award season—Robbie was the lead in I, Tonya and Ronan in Lady Bird, both were nominated to the Oscars in the Best Actress category—that make this movie worth watching. Saoirse Ronan and Margot Robbie are forces of nature as shrewd political rivals in a world dominated by men. Both actresses impart steely determination and strength to their characters, more Ronan than Robbie. A movie so heavily laced with political intrigues, maneuvers, and counter-maneuvers, is all the more compelling because of these actresses in equally demanding roles. I have not seen this yet but I sure do intend to. One of my favorite all-time novels is Mary, Queen of Scotland and the Isles by Margaret George in which I became quite invested in Mary's story. I saw Colette last week and loved it. I still have to see The Favorite. It is exciting to have three great movies in historical settings this year. Beware this one is not historically accurate. If you make provisions for that you might enjoy it; there are some things to be liked in this production. It is heavily political in the way that Lincoln was. I, too, saw Colette (two or three days before the review in the other blog was posted) and liked it a great deal; I will be reviewing it soon. It has echoes of Disobedience--they share one of the screenwriters, and common themes from the life of George Sand, which I read in the novel 'The Dream Lover' by Elizabeth Berg. I watched this last night and found it very good from a feminine point of view. Subtle though and it lost out in the Oscar noms except for make up, hair and costumes. That says to me that this excellent study of how it can be for women in power got overlooked by some tone deaf critics and Academy judges. The two lead actresses were, as you said, awesome in their roles. I've always found this story and this period in history fascinating. Apparently, so do many others, because there always seems to be an audience for any retelling of it. Tudor history is fascinating no matter how many different ways we hear about it. Good to see a strong review - this is a film that I will definitely watch. I love this period of history. Ha! I just read a negative review of this film from across the pond. :-) Needless to say, I disagreed. I hope you enjoy it for what it is, Lynn, but keep in mind that it is less about the fancy of the period and very heavy on politicking and manipulation.